I loved Mr. Holmes so much that it is in my top 2 films of 2015. In fact the only disappointing thing about the film is that I have not had sufficient time to write a review worthy of it's ingenuity. On that note if an intelligent, charming alternative Sherlock Holmes mystery interests you - don't read any further Mr. Holmes is is a subtle film that works really well knowing less and some bits I mention were a joy to discover watching Mr. Holmes. Not only do I recommend Mr. Holmes as my film choice for this week but it is my film choice for a long time to come. Bruce Wayne got the reinvention he deserved, James Bond got the reinvention he deserved and now the World's greatest detective Sherlock Holmes gets the reinvention he deserves. 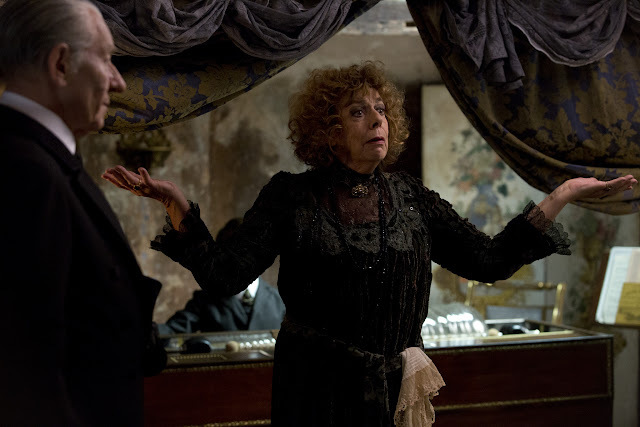 It is not only the Sherlock Holmes story fans deserve but the reinvention they need, especially as Sherlock Holmes has been seen on screen in so many variations previously. Mr. Holmes is easily the best Sherlock Holmes film from the last two decades possibly even longer. A couple of weeks ago I had the distinct of seeing Mr. Holmes. Like many, many others I have a particular fondness for the world's greatest fictional detective - Sherlock Holmes (even more so after seeing Mr. Holmes) but had little expectation (or knowledge) of Mr. Holmes as whilst Sir Ian McKellen always brings a high quality performance I am not overly familiar with the work of Director Bill Condon which veers from the high brow Kinsey, Gods and Monsters to the fun of the Twilight series via Candyman. But there wasn't a single moment of the film that I wasn't enthralled. From the engaging performances across the board, particularly from Sir Ian putting in one of his most memorable and touching performances to date as the aged sleuth (the man just keeps getting better), Laura Linney as the out of sorts Mrs. Munro, young Milo Parker as Roger and Hiroyuki Sanada as Tamiki Umezaki. There is not a wrong foot put forward with the acting or direction. It truly is something to behold. I should also mention Carter Burwell's score, it accentuates the mystery and period but doesn't quite reached the atmospheric heights of his noir Blood Simple score for the Cohen Brothers which is still one of my favourite soundtracks of all time some 31 years on. 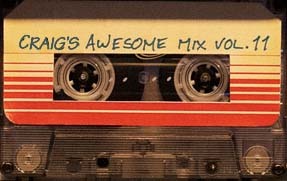 Onto the best part of the film. The story. I'm not familiar with Mitch Cullin's 2005 book A Slight Trick of the Mind that Mr. Holmes is adapted from. More is my shame, as I imagine the narrative of the film rolls out deliciously as the mystery in the book – as each page is pulled back to reveal a layer of discovery. Nothing is wasted as we see clues like a breadcrumb trail that sometimes lead us to a twist or down a false path. The audience are treated as intelligent adults rather than idiots that need repetitiveness or blunt force exposition. In this respect it really is in the best spirit of an intelligent Sherlock Holmes mystery. In Bill Condon's Mr. Holmes universe all the stories you have ever heard of Sherlock Holmes are a fiction based on the exploits of Holmes written by Holmes' faithful ally Dr Watson, even Holmes' most recognisable characteristics are Watson inventions. The real Holmes is pedantic and doesn't suffer fools gladly. But like the Sherlock Holmes of old, Sir Ian's new Holmes sparkles with intelligence, he is a modern man ahead of his time concerned with the environment particularly the colony collapse of his bee population (to his own end) as well as the effects of World War 2. This is easy to say and write but certainly not as easy to convey in character in a film, unless one is as supremely gifted as Sir Ian. But Holmes is getting old and his once razor sharp mind is slowly becoming a steel trap of its own for our protagonist as it deteriorates with age. I really liked this twist on the Holmes mythology as not only is humanising and makes the story more personal but on another level it accentuates his powers (of deduction), as though it's clear no man was a match for Sherlock Holmes, his greatest enemy has proven to be himself. In someone else's hands this may be a tragedy but between Condon and McKellen emotion is masterfully kept on the edge between melancholy and hope with rapier sharp wit thrown in. Like Christopher Nolan's Batman and Sam Mendes' James Bond the tale of Mr. Holmes takes place in the dark times post WW2, across time periods and countries. Holmes has long put his detective work behind him and has retired to the Sussex countryside with his housekeeper Mrs. Munro (Laura Linney) and her son Roger (Milo Parker). Between his cantankerousness and failing health and her dissatisfaction the household is tense. 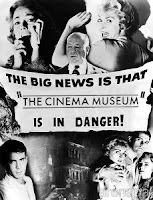 Holmes has put his efforts behind trying to stave off or cure his failing health until the game is afoot once again and he springs, well hobbles, back into action to revisit a case that haunts him and in the process discovers something much bigger with startling implications for himself. 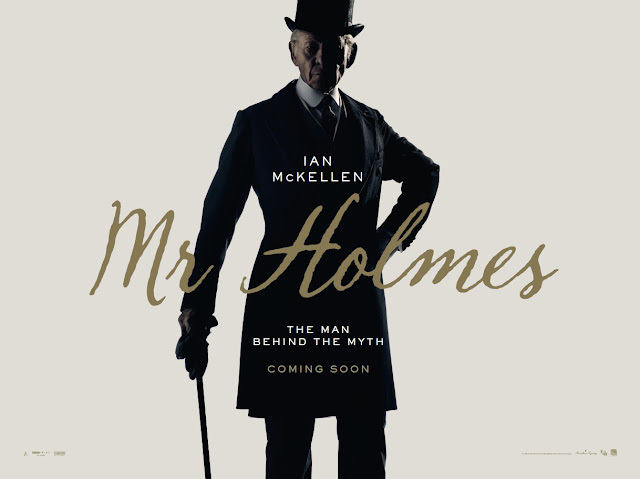 I really am trying to avoid spoilers as Mr. Holmes deserves to be seen without expectations its a marvellous film that steers clear of the cliches but brings the spirit of the world's greatest detective back to life as he should be seen. Leaving the cinema after the screening I was overjoyed and beaming that Bill Condon was able to reinvent such a well loved character in a genuinely surprising and fresh way and delicately handle such sensitive subject matter. 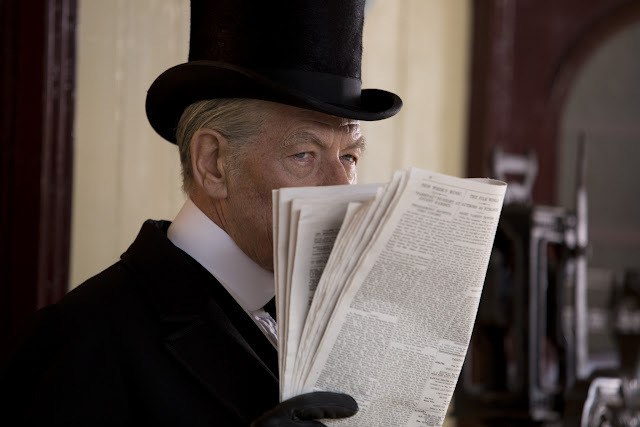 Bill Condon's Mr. Holmes is a piece of cinematic magic but but I couldn't help thinking a Mitch Cullin, Bill Condon and Ian McKellen young Sherlock Holmes up against Professor Moriarty would have been a force of nature. Talking about Young Sherlock Holmes keep an eye out for the onscreen matinee Sherlock Holmes as you may recognise him. 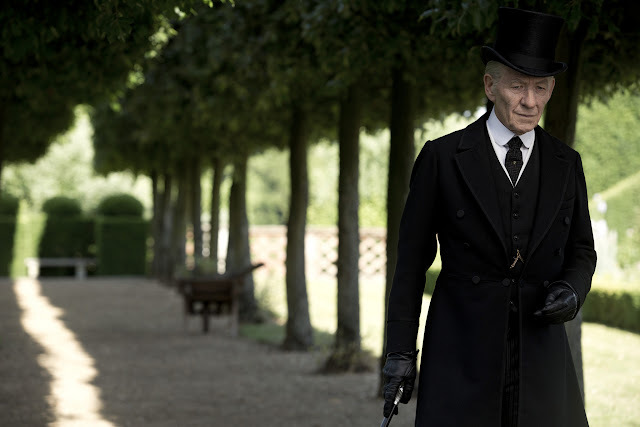 MR HOLMES will be released in cinemas across the UK & Ireland on June 19th.